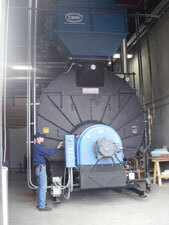 We are the factory authorized representative for Industrial Combustion Burners and Superior Boilers and are authorized to sell and service other cast iron sectionals and Cannon Economizers, and offer other makes of burners, boilers and heating equipment. 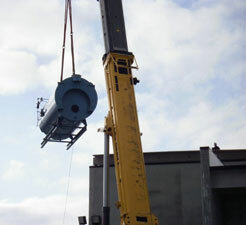 Installation of a new boiler by picking it up with a crane and setting it in the building by going through the roof. 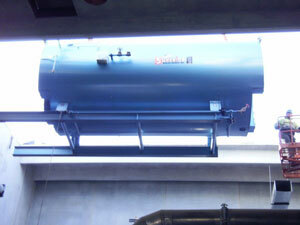 We also custom make condensate receiver tanks. 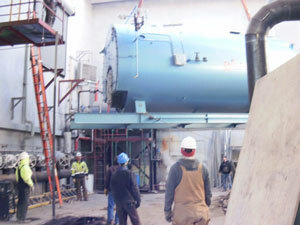 Central Burner & Boiler has the capability to purchase many other brands of boilers, boiler room and heating systems equipment.